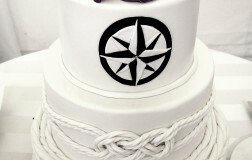 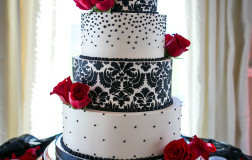 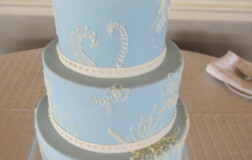 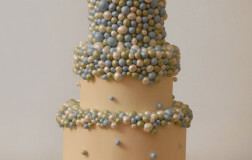 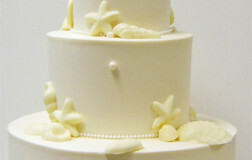 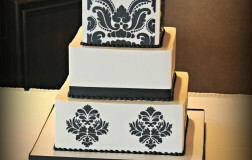 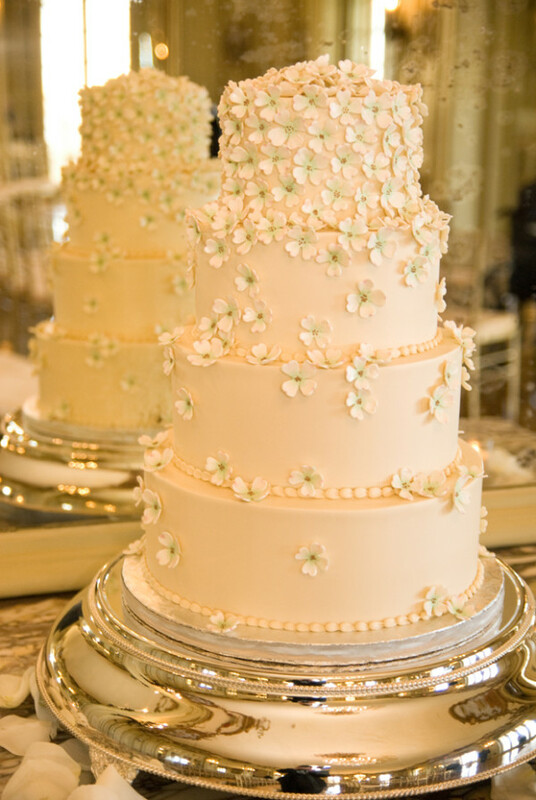 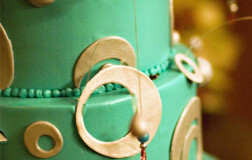 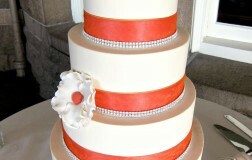 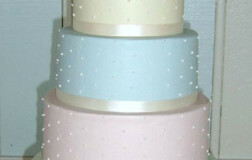 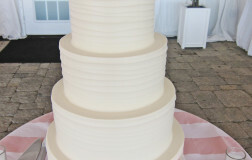 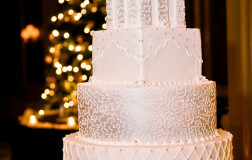 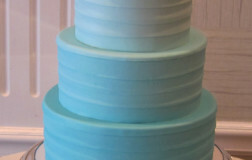 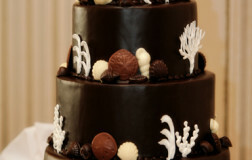 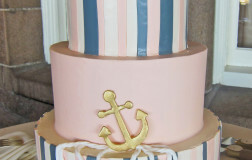 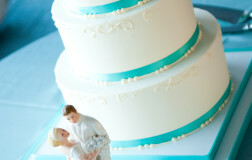 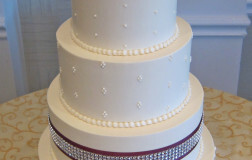 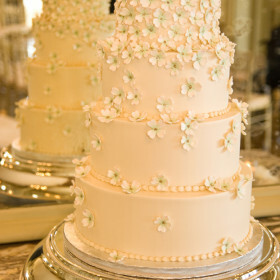 Four tier cake shown in vanilla butter cream frosting. 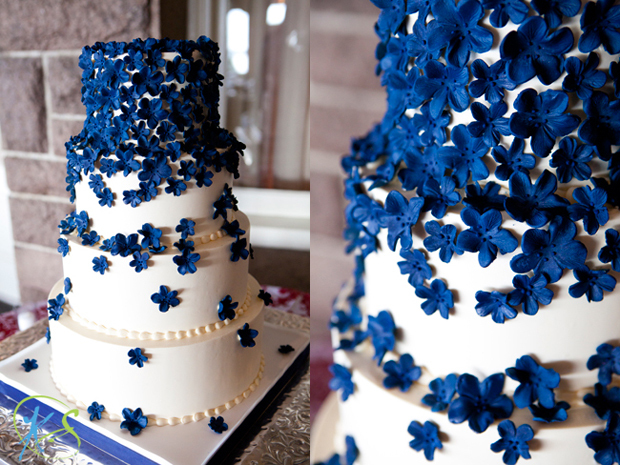 Flowers are handmade and are completely edible. 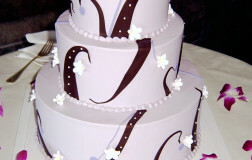 Be the first to review “Bold Statements 4” Click here to cancel reply. 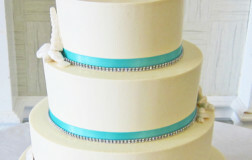 Love the pop of color here. 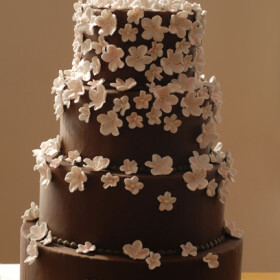 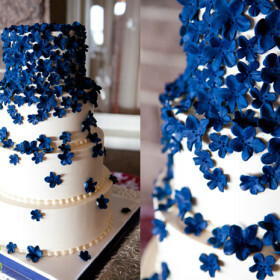 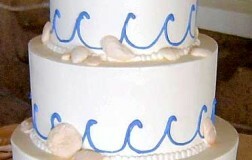 My only comment is that I would have preferred to have seen the same flowers used on this cake. 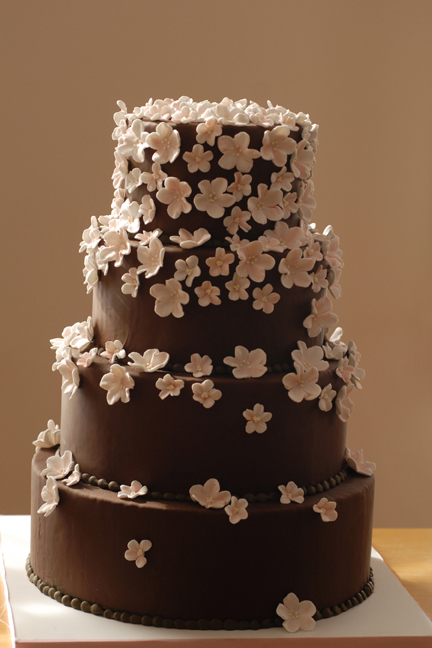 I think mixing fresh flowers with gum paste flowers can by tricky and can make the cake seem off if they are not the same flower type. 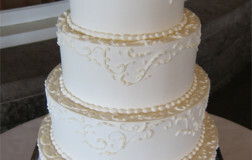 I personally like continuity.